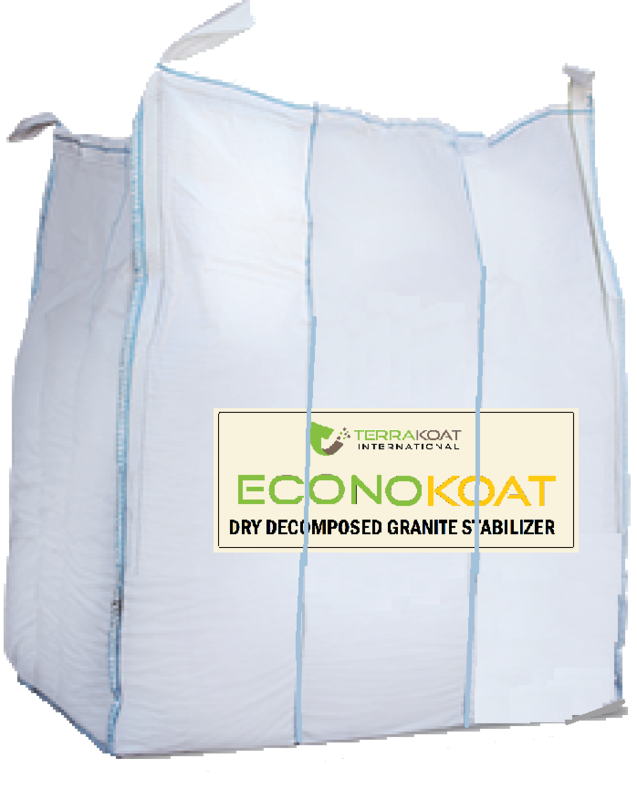 EconoKoat Stabilizer is an organic powder That stabilizes soil by first Koating and then binding soil particles. The organic powder It is a natural, non-toxic, non-staining, odorless, environmentally safe powder derived from crushed seed hulls. EconoKoat can be used with a variety of crushed aggregates such as Crushed Stone, Hard Rock, or Limestone, but is most commonly used to stabilize Decomposed Granite to create natural looking pathways, patio's driveways, parking areas and more. 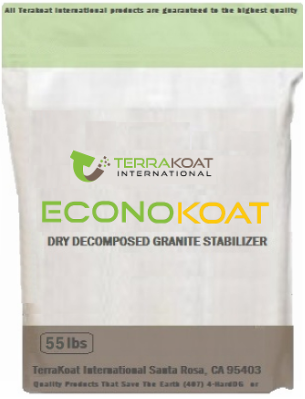 EconoKoat increases the strength of aggregates to hold up in conditions where untreated DG falls short. HERE ARE JUST A FEW BENEFITS OF USING ECONOKOAT. Great Coverage 6.5 sqft per lb @ a 2" Compacted Depth. Orders usually ship within 1 to 2 business days. EconoKoat is a made to order product therefore all sales are final.